Author: Miller, William Set In . . . Description: When Sonny Comeaux's mother is laid off from work, he wants to quit school and earn their rent money. She refuses, but Sonny finds a solution. With help from a jazz musician, he throws a rent party, where music raises the needed money. 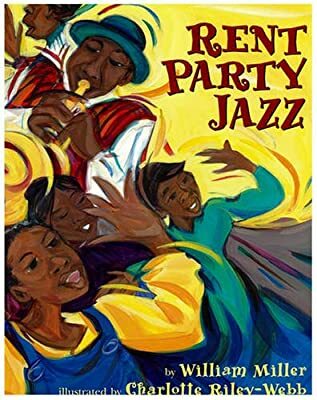 With colorful images, Rent Party Jazz tells of family, friendship, and the bonds that unite people.